We are a Leading Manufacturer, Exporter and Supplier of Three phase motor, single phase motor, Torque motor, Vibrating motor, Crane and hoist duty motor, lift duty motor, Cooling tower motor, Two speed Motor, Single phase brake motor, Brake motor, Worm gear motor, helical gear motor, Fail safe brake, Bench Grinder machine, Bench polisher Machine, Flexible shaft Grinder machine, variable frequency derive, Ip 68 motor, Dual voltage, Cut section ac motor, Gear Shaft, H class motor, Extend Shaft, Hollow Shaft Motor, Encoder Mounted Motor, Hollow shaft Brake motor, Center flange Vibrating motor, Geared Brake motor, Dabble flange motor, Two speed Gear Motor, Two speed Geared Brake motor, Two speed Vibrating motor, force cooling motor coolant pumps Etc. Amit Electricals manufacturer supplier and exporter single phase Gear Motor. One of the leading organizations actively involved in offering a broad gamut of Single phase Gear Motor to our respected clients. Our offered product is manufactured using high-quality basic material and latest technology in compliance with set industrial standards and norms. This range is strictly checked by best quality checker team in order to deliver production defect free range to our client from our end. Moreover, offered motors can be availed at market leading rates. 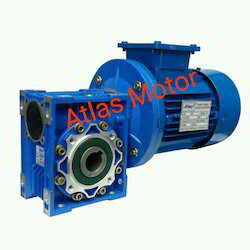 Single phase Worm Gear Motor Supply 215 ± 5% volts 50 HZ ± 3% other voltage and frequency. also, we can supply on demand. Worm Shaft id of the single piece accurately made out of case carburized alloy steel. The worm Motor is Solid with a shaft made of high-grade alloy steel so as to give hardware resisting surface duly case hardened & super finished. The Bearing & Oil Seal generals are accurate, cylindrically Ground to give smooth running. Superior quality oil seals are used to ensure complete oil tight. Excellent performance, simple structure, small cubage and high efficiency Easy to mount and maintain. Running stable, low noise and wearing well Wide applicability. Amit electrical manufacturer, exporter, and supplier of Worm Gear Motor. Our rich industry experience in this field enabled us to provide a wide range of Aluminum Gear Motors to our reputed clients. The offered motors are widely applicable and demanded packaging, loading, automation and material handling lift. The raw material for these products is sourced from repudiated vendors in the industry who are commended for their product quality. The worm Motor is Solid with the shaft made of high-grade alloy steel so as to give hard wear-resisting surface duly case hardened & super finished. The Bearing & Oil Seal generals are accurate, cylindrically Ground to give smooth running. It is made of centrifugally cast phosphor Bronze rim shrunk and keyed on cast iron center block on the bigger unit and solid casting for smaller units. Made from high carbon steel to provide exceptional Strength & rigidity to minimize deflection. Hollow shaft Gearbox, solid shaft, both side shafts, one side Gear supply as per customer requirement. We are providing Double Reduction Worm Gear Motor to our clients. 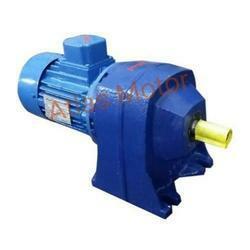 Amit electricals is manufacturer, supplier and exporter of Helical Gear Motor. Helical Gear motor are widely use in Industries. We are a paramount organization of this domain involved in offering high quality Helical Geared Motor to our prestigious customers. These motors are manufactured using high grade quality metal that is sourced from reliable and trusted suppliers of the market. Moreover, we are offering these products to esteemed customers in various designs and specifications to suit their precise requirements in best possible manner. One can avail these motors from us at leading market rates. Helical Gear Motor body is Made by a robust, rugged cast iron frame with integral feet. It provides long life. The ball or roller bearings are used in helical Gear Motor with ample capacity so that is can take journal and thrust loads. Two and three stage gear Motor can support high permissible radial load. High efficiency, can reach to 95%. Amit electrical manufacturer, exporter, and supplier of worm Gear motor. Our rich industry experience in this field enabled us to provide a wide range of Aluminum Gear Motors to our reputed clients. The offered motors are widely applicable and demanded packaging, loading, automation and material handling lift. A raw material for these products is sourced from repudiated vendors in the industry who are commended for their product quality. 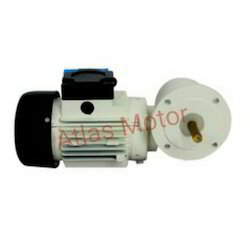 Atlas Make AERV series supply Flange Mounting Motor as per customer require hp in Single phase 220 volts ± 5% 50 Hz. ± 3% We are also able to Supply motor in 110 volts on HZ. 60 Also and Three phases 415, 380, 220, 48 volts ± 5% 3 phase 50 Hz± 3%. Amit Electricals Manufacturer, Supplier and Exporter of Helical Gear Motor. Helical Worm Gear Motor Combination of Helical and Worm Gear with Motor. It Manly use in Application required high Torque at Low RPM. Amit electrical has excellent technological strengths and production facilities. Manly helical worm gear motors are use in high lord applicant. Center Distance 1.25 Inch to 8 Inch. Amit electricals manufacture supplier and exporter Worm Reduction Gear Box. We are dedicatedly engaged in offering a wide assortment of Worm Reduction Gear Motor. which are designed as per the set of industry norms and standards. These products are highly demanded for their accurate dimensions and sturdy construction. We offer these products in all around the globe at very reasonable price. These products are carefully designed and developed which attract the customers and meet their requirements. Worm Wheel is made of cast phosphorous bronze teeth are accurately hobbed to facilitate inter-changeability, It is made of centrifugally cast phosphor Bronze rim shrunk and keyed on cast iron center block on a bigger unit and solid casting for smaller units. It is made of close grain graded cast iron. Large cooling fins on both sides and adequate cooling area improve efficiency. The worm wheel is inspected to match the masterpiece. Worm Shaft id of the single piece accurately made out of case carburized alloy steel. The worm Motor is Solid with the shaft made of high-grade alloy steel so as to give hardware resisting surface duly case hardened & super finished. The Bearing & Oil Seal generals are accurate, cylindrically Ground to give smooth running. Output Shaft is Made from high carbon steel to provide exceptional Strength & rigidity to minimize deflection. Hollow shaft Gearbox, solid shaft, both side shafts, one side Gear supply as per customer requirement. Running stable, low noise and wearing well Wide applicability and enough and safe dependability. We are one of the leading organizations actively involved in offering a broad gamut of Single Phase Worm Gear Motor to our respected clients. Our offered product is manufactured using high quality basic material and latest technology in compliance with set industrial standards and norms. This range is strictly checked by best quality checker team in order to deliver production defect free range to our client from our end. Moreover, offered motors can be availed at market leading rates. H.p. : - From 0.18 to 1.5 KW. Center : - 30 to 130M.M. 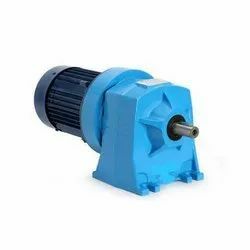 Type : - Worm geared motor that our company produce include NMRV and NRV. 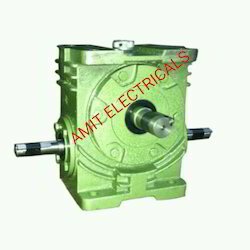 Amit Electricals Manufacturer, Supplier and Exporter of Electrical Geared Motors. Looking for Gear Motors ?